Anytime you purchase property in Florida, an inspection by a licensed, certified home inspector is typically part of the process. F.S. 468 Part XV covers home inspector requirements. Home inspectors are called upon to closely examine the structure and property and identify potential material defects. But what if they miss something that ends up resulting in personal injury? Will you have a claim? The answer is not a simple one, and will depend on the language on the home inspector contract (whether the contractor limited his/ her own liability), as well as the duty of care owed to the person filing the claim. The question in a recent premises liability lawsuit out of Tennessee was whether a home inspector was liable to a third party who suffered personal injury on a someone else’s property due to a construction defect. The Tennessee Supreme Court ruled that defendants (home inspector and home inspection franchise) was not liable as a matter of law because while the plaintiff alleged defendant should have warned of building code violations, this was not a building code inspection. 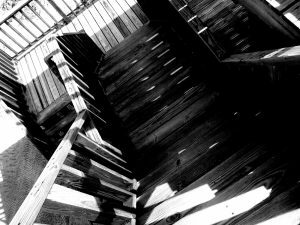 Plaintiff was injured after falling off a second story deck that was improperly constructed, but had recently undergone an inspection paid for by the homeowner. Although this ruling technically has no direct influence in Florida, it’s well-established that state supreme courts will look to sister courts when weighing similar issues, so it’s worthwhile to take a look at the legal reasoning in this case. According to court records, the homeowner in this case purchased a home and hired a home inspector to conduct an inspection of the house. The inspector did note problems with the deck flooring of a second-story deck, but made no mention of the railing in his official report. As a condition of the sale, the previous homeowners replaced the flooring of the deck. The contractor who repaired the floor did nothing to alter the deck. Homeowner then hosted a social gathering at his home, shortly after moving in. Plaintiff was a guest at that event. While on the second story deck, plaintiff fell from the second story when the railing of the deck collapsed. He suffered severe personal injuries. A later forensic examination of the structure indicated the railing had been improperly instructed using interior finishing nails, as opposed to galvanized nails. With this revelation, plaintiff filed a personal injury premises liability lawsuit against the homeowner, previous homeowner, contractor who replaced the deck boards, the home builder and the home inspector. The only claims pending before the supreme court were those against the home inspector and home inspection franchise. Plaintiff alleged the home inspector/ franchise knew or in the course of using reasonable care should have known the second floor rear deck railing was built in violation of local, state and federal building codes and that the defect posed an unreasonable risk of harm. Plaintiff alleged the home inspector failed to conduct a pressure test to ascertain the amount of force the railing could withstand, and negligently failed to report these violations of code. Defendants denied all liability and moved for summary judgment, arguing plaintiff’s claim of negligent misrepresentation was not one plaintiff – as a third-party – could make because plaintiff never personally relied on the home inspection report. The homeowner did. Therefore, defendant did not owe the third-party guest a duty of care. Establishing one’s duty to the plaintiff is essential in any negligence lawsuit. Harm was suffered as a result of the reliance of the other or third person upon that undertaking. Defendants insisted in this case, there was no undertaking that would implicate this provision of law. They argued home inspection is not a safety inspection, but rather a service provided to help facilitate a real estate transaction. These inspections are visual and not akin to a building code inspection. The court didn’t wholly agree with this assessment, but nonetheless reasoned the plaintiff’s claim failed as a matter of law because the assertion was the inspector knew or should have known the deck didn’t meet applicable building codes, but it was established that this was not a building code inspection. This does not necessarily mean plaintiff will not be able to obtain relief. Claims against other defendants may well prove more fruitful.